It is with shattered hearts that the Gasper and Jagow families announce the passing of Troy, Carissa, Kael, Shea and Maks Gasper on Friday, June 29, 2018. Troy, Carissa, Kael, Shea and Maks are survived by Doug and Kelly Gasper and Carey and Lisa Jagow, their parents and grandparents; Mark Gasper (Kashina) and Jared Jagow (Aleisha Moore) and their family Jalaa, Hal, Herschel and Banks, their brothers, uncles, aunt and cousins; Marj Gasper (Grant Fraser), Marje Mann, John and Shirley Jagow and Ken and Teresa Repp, their grandparents and great-grandparents; Heath and Danielle Pearce, their cousins, best friends and godparents to Kael, Shea and Maks; the Copeland family Bob and Pam, Ben (Kathryn), Jon (Bridget) and Sara who loved them as their own and by many aunts, uncles and cousins. They were predeceased by Troy’s grandfathers Ted Mann and Don Gasper and Troy’s cousin Halden Smith. The greatest joy in Troy and Carissa’s life was being Mom and Dad to Kael, Shea and Maks. They loved Kael with her loving heart, Shea with his mischievous grin and Maks with his big adorable smile. 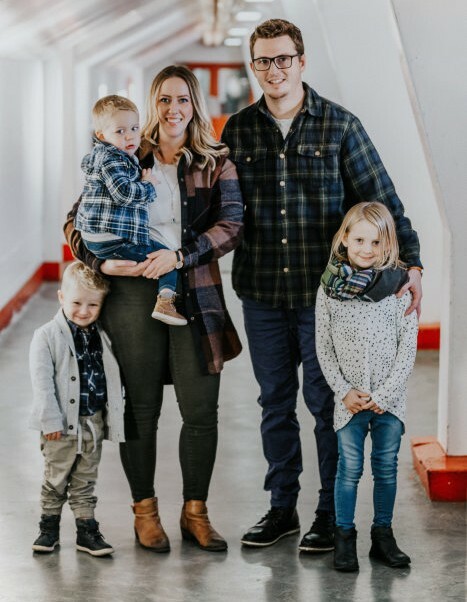 Troy and Carissa believed in giving back to their community and were instrumental in supporting a wide variety of events in Rosetown. This beautiful family will always be remembered for their love of their children and family. A celebration of the lives of Troy, Carissa, Kael, Shea and Maks Gasper was held on Friday, July 6, 2018 at 1:00 p.m. at the AGT Centre, 901 Highway 4 North, Rosetown, SK. In lieu of flowers, donations may be made to SJHL Assistance Program or Kidsport.